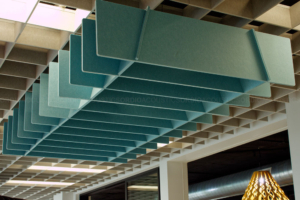 Redefine your environment with Autex Quietspace Lattice Eclipse; a premium range of suspended acoustic absorbing baffles constructed from Autex Cube. Artistically designed with functionality in mind; Lattice is ideal for reducing reverberated noise and controlling the echo of background chatter. Quietspace Lattice Eclipse is constructed from Autex Cube is made from 100% polyester and manufactured in New Zealand under Autex’s ISO 14001 accredited Environmental Management System. Containing a minimum of 65% post-consumer recycled material, Quietspace Lattice Eclipse is the obvious choice for sustainable acoustic control. Autex Quietspace Lattice Eclipse is a non-toxic, non-allergenic and a non-irritable product making it ideal for environments where health and safety is key including hospitality, offices and the education sector. 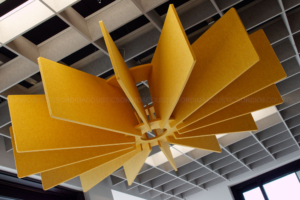 Ordio Acoustics are a preferred supplier of Autex Quietspace products, our years of experience in sound management and acoustic installations provides our customers with the knowledge and support they can rely on. 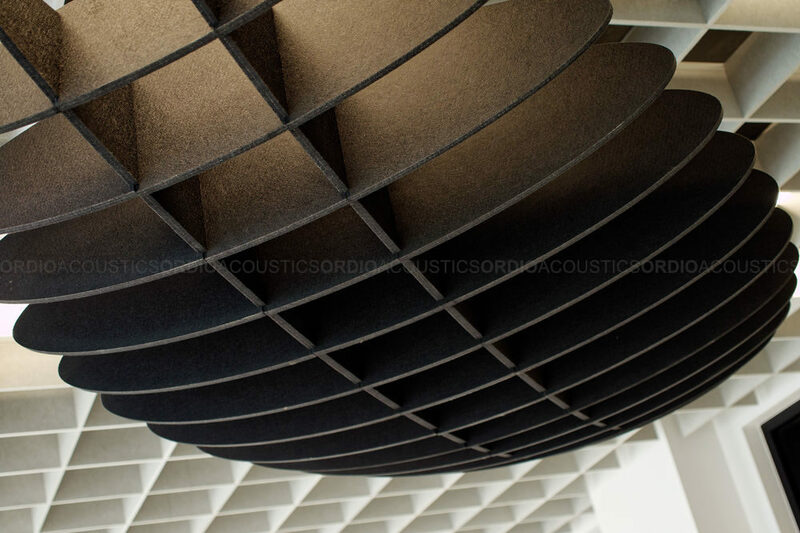 Ordio Acoustics offers acoustic materials at competitive pricing and bulk discounts for Corporate, Government and Education sectors Australia Wide. Talk to us today about Autex Quietspace Lattice Eclipse. facilisis luctus elementum risus. eget leo. suscipit neque.